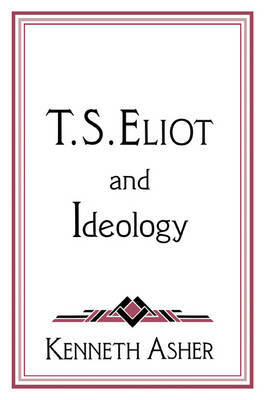 Setting out to demonstrate the effect of politics on the work of T. S. Eliot, T. S. Eliot and Ideology charts first of all the influence of French reactionary thinking on Eliot's prose and poetry, and further argues that this political inheritance provided the intellectual framework he employed throughout his career. Asher's concentration on the specifically ideological separates this book from previous works on Eliot, and sheds light on Eliot's celebrated mid-career conversion to Catholicism. What results is a re-estimation of Eliot's view of literary history and literary theory, and new appraisals of several major poems and plays. Finally, the book discusses at length how Eliot's ideology profoundly influenced the study of literature in the English-speaking world for several decades.